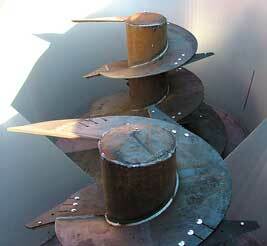 Model 505 Vertical Express Twin Auger is a vertical feed mixer with a mixing capacity of 500 cu. ft. and can hold a maximum load with a heavy ration up to 14,000 lbs. 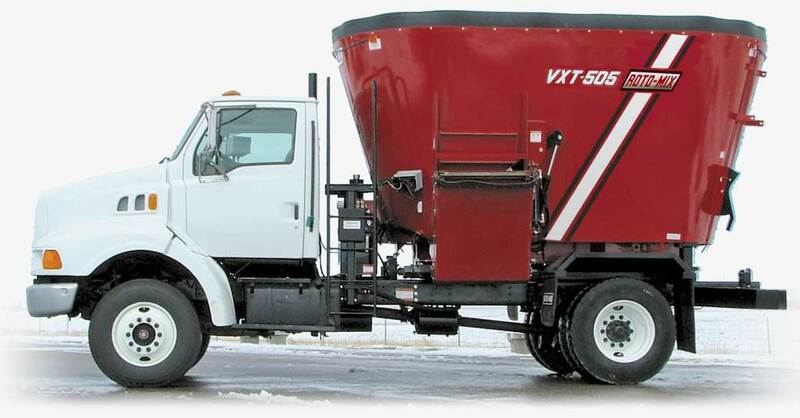 This model is available in trailer and stationary units but not in truck mount. VXT Vertical Mixers have a low profile, perform fast processing of hay with quick mixing and discharge. It is equipped with tower assembly shaft twin augers and has lower horsepower requirements with chain and sprocket drive. It has an adjustable axle for loading convenience and can be equipped with more knives as an option. 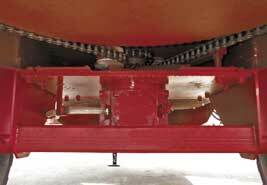 This size of feed mixer is for all feeding applications including dairy, cow/calf, stockers and more. Low profile. • Fast processing of hay. • Quick mixing and discharge. Lower horsepower with chain and sprocket drive. 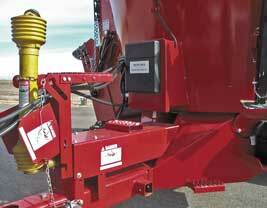 Adjustable axle for loading convenience. 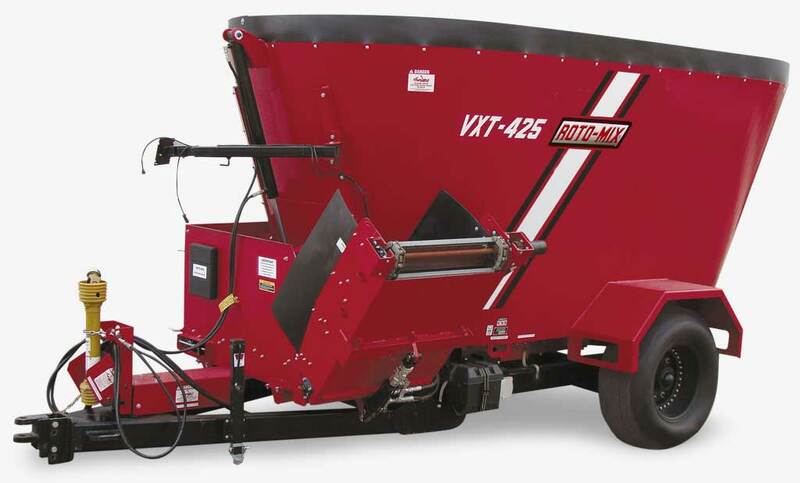 Great mixer for all feeding applications, dairy, cow/calf, stockers and more. Can be equipped with more knives optional. No planetaries—just a simple chain and sprocket drive—low maintenance with one right angle gearbox. Models 325, 425 and 505 have twin augers. Convenient PTO holder and hose storage. 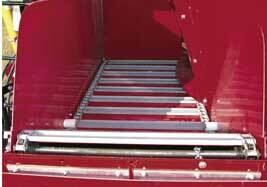 Convertible chain and slat conveyor for left or right hand discharge on trailer models. 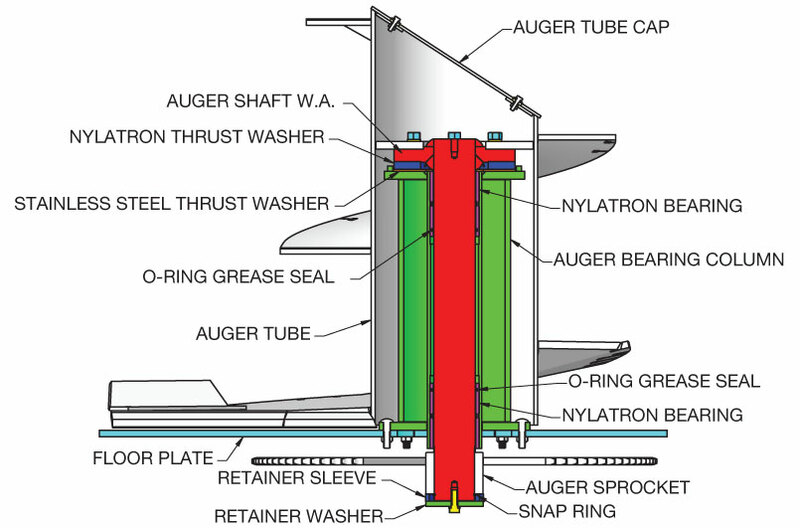 Twin screws for faster mixing and processing of long fiber material.